These are the most famous paintings each done with wool fiber on a soap covered in wool. Each painting has been needle felted with individual wool fibers into a replica of a masterpiece. Can you name them all? Creative Forgery; needle felting on soap. I wet felt soap then overlay needle felting. This series is from a top ten list of the worlds most famous paintings. Forgery of Monk's Famous angst. He needs a nice hot bath. This one was my favorite to do because of the bright colors and perspective. This one required me to mix and twist individual wool fibers to get the shading just right. Rembrandt was probably wearing wool fibers just like these while painting this masterwork. Persistence of needle felting. This one is very sculptural. I cheated a little with just a detail of the whole. These are only soap sized, after all. Perfect image for a lovely bath. Mark knows the visual power of a great bar of soap. This isn't one of the 10 but it is a recognizable painting. These are handmade soap, made by a friend. 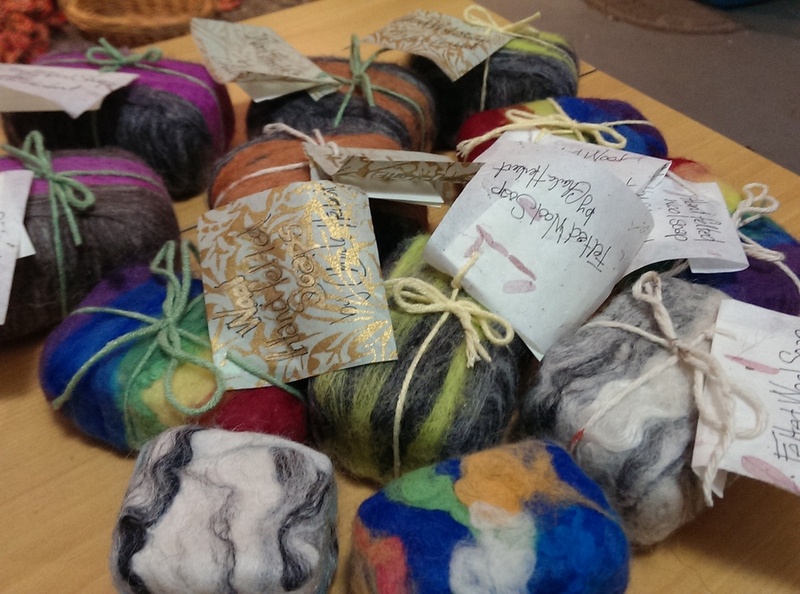 Then, I wrapped them in wool and wet felted. Makes the soap last and last. You will LOVE washing with these. Each soap is $10. If you catch me at an art fair I may have some half sized soaps for $5.